Certainly if a presidential candidate is entitled to change his mind on major issues, the FDA is, too. Of course, the entire process of reversal is quite a bit more serious when it comes to a federal agency in charge of the welfare of the country. Let's start with a very sobering fact: More Americans die from adverse effects of prescription drug medications than from illegal drugs. That means that the agency overseeing prescription medications carries a heavy burden, the burden of human lives. Over the course of the time that the FDA has been approving medications, numerous 'mind changes' have occurred, when data revealed that approved drugs were not truly safe to be on the market--something learned only, unfortunately, through human suffering. When such suffering indicates that drugs once deemed safe are no longer acceptable, it is necessary that they be recalled, and removed from the market. Technically, the FDA doesn't 'order' a recall. When, based on the new data, it is clear that the medicine is no longer acceptable in terms of safety, most often companies recall their own products when the FDA requests it. If a company refuses, the FDA's recourse is to take the company to court for an injunction--but that rarely has to happen. Space prevents us running through all the FDA recalls, even in the past 10 years [see the appendix for links to lists of recalls], so we'll just focus on some of the higher-profile cases in which the FDA recommended a drug company recall a product the agency had previously approved, or went ahead and revoked its approval under certain conditions. The medications will most likely be quite familiar. Approved in 1985, Seldane was a great breakthrough in the allergy arena, in that it treated the symptoms of allergic rhinitis, but without the drowsiness and fatigue of other antihistamines. And it earned its weight in gold. Drug maker Hoechst Marion Roussel (now Aventis) sold $440 million worth of it worldwide the year before the recall. In fact, in the first 11 months of 1996, 4.3 million prescriptions for Seldane and 2.3 million for a variation, Seldane-D, were filled. However, it soon turned out that Seldane, particularly when taken together with antibiotics or antifungal drugs, could cause heart rhythm abnormalities. Throughout its years on the market, the FDA received about 40 reports of the abnormalities, linked to 8 deaths. But because it was the only antihistamine available without the side effect of drowsiness, the FDA deemed that the benefits outweighed the risks of the drug. However, in 1996 the FDA approved another Hoechst Marion Roussel antihistamine, Allegra (fexofenadine), which had the same active compound as Seldane, but didn't cause abnormal heart rhythms. The FDA asked the company to withdraw the drug from the market because of its negative effects. Dr. Robert J. Temple, an official of the FDA, said the recall was not because people were dying in massive numbers. Rather, he said, ''We are saying that there is a potentially lethal but infrequent risk that you can safely avoid, and that is not acceptable anymore." Ultimately the FDA banned Seldane in Jaunary 1997, leading to a recall. The FDA can't be held solely to blame on this one, for it never actually approved the combination that made up the now infamous diet drug Fen-Phen. However, it approved each of the components individually, so withdrawal was within its purview. Fen-phen was made up of two diet drugs that were, indeed, FDA approved: Pomdin (fenfluramine-the 'fen'), approved in 1973 to fight obesity for "single drug, short-term use," and phentermine ('phen'), approved in 1959. American Home Products Corporation combined the drugs--and for a while had a good thing going. A study was published in 1992 indicating that using fenfluramine with the diet drug phentermine could be effective at maintaining weight loss. The combination took off, and became known as Fen-Phen. Notably, the FDA did not review the results of these studies, and the long-term combination use of the drugs never did receive FDA approval. In 1996 the FDA approved dexfenfluramine, a derivative of fenfluramine, marketed as Redux by Wyeth, also as a diet drug. Its adverse side effects when combined with phentermine would mirror those of fenfluramine. Over their time on the market, 6 million Americans took either Fen-Phen or Redux. But gradually, as the FDA said in its withdrawal announcement, it became clear that these drugs were doing people's hearts no good at all. In July of 1997, the Mayo Clinic reported 24 cases of heart valve problems in women who took the Fen-Phen combination. Turns out the FDA had received nine similar reports, and requested all physicians to report any other cases. The lawsuits began within weeks. In a short time, the FDA had 66 more reports of heart valve issues correlated with Fen-Phen, plus reports of the issue in patients taking only fenfluramine or dexfenfluramine in isolation. Soon doctors who had run echocardiograms on these patients, testing the functioning of the heart valves, and found that 30% had abnormal echocardiograms, even though they were asymptomatic. Fenfluramine and dexfenfluramine were recalled in September of 1997, although phentermine was allowed to stay on the market. By the time of the FDA withdrawal announcement, hundreds of lawsuits had been filed against the various makers of the drugs. One lawyer in New York filed 100 suits alone, claiming this "is going to be bigger than breast implants." In the very first verdict (with thousands of cases awaiting trial) against American Home Products Corporation, a Texas jury awarded over $23 million to a woman who suffered heart damage after taking the product. It did not bode well, and the company has shelled out billions to cover what its diet drug has wrought. Posicor, manufactured by Roche Laboratories and marketed to treat high blood pressure and chest pain, would be recalled within less than a year of its release. Approved on June 20, 1997, it came on the market in August of that year, already with some caveats. For example, it couldn't be taken in combination with antihistamine Hismanal (astemizole), Propulsid (cisapride) for nighttime heartburn, and Seldane (terfenadine). Posicor reduced the activity of enzymes in the liver that help the body get rid of medications and thus caused a dramatic increase in the blood levels of these drugs, leading to potentially fatal side effects from the other medications. Additionally, early clinical results indicated that it caused potentially dangerous irregular heartbeats. FDA medical team leader Dr. Shaw T. Chen wrote on Dec. 18, 1996 that these studies "cast a shadow of potential risk for serious arrhythmias." Sweden saw fit to keep the drug off the market, but the FDA went ahead with approval. Soon two more drugs were added to those with potentially deadly interactions, Mevacor (lovastatin) and Zocor ( simvastin). Six months after approval, the FDA announced that it had "received reports of dangerously lowered heart rates in about 20 patients," and had Roche change its label, now informing physicians that Posicor could not be taken in conjunction with cholesterol-lowering drugs. The Rubicon had been crossed, and, with dozens of other drugs on the market to treat high blood pressure, the FDA wrote that "Due to the complexity of the prescribing information needed for Posicor and the seriousness of the side effects, FDA and the company agreed that it would be difficult to administer Posicor safely. In addition, Posicor had not been shown to offer special benefits, and its problems were viewed as unreasonable risks to consumers." On June 8, 1998, Roche withdrew the medication. By that time, Posicor was suspected in the deaths of 100 patients. In 1997, the FDA approved an anti-cholesterol drug or statin made by Bayer called Baycol (cerivastatin). It lowered the 'bad' LDL-cholesterol as well as total cholesterol and triglycerides. There seemed to be every reason for approval. The clinical trials had carefully looked for the side effects associated with other statins, and found Baycol no more dangerous than any other statin on the market. And it was effective--even at lower doses than the others. The drug was a hit. Before it would be withdrawn in 2001, U.S. doctors wrote almost 10 million prescriptions for it. It was all that usage that showed up the deadly potential side effect of the drug. Baycol caused a degenerative disease--sometimes fatal--called rhabdomyolysis—much more frequently than the other statins did. Rhabdomyolysis is the breakdown of muscle fibers that causes the release of the muscle fiber content into the blood stream, where it causes severe kidney damage. Unfortunately, it seems Bayer hadn't been completely forthcoming with the information it had on the dangers. Bruce M. Psaty of the University of Washington in Seattle said that by December of 1999 the company's reports already indicate the manifold higher risk of rhabdomyolysis than with any of the other statins. Withdrawn in August of 2001, Bayer announced at the time that the drug was linked to over 52 deaths. Vioxx may very well have been one of the biggest recalls of all time. Approved in 1999, Vioxx was an anti-inflammatory medication to treat arthritis. A non-steroidal anti-inflammatory drug (NSAID), it came without a common NSAID side effect of stomach irritation. Merck, the drug company who developed and marketed Vioxx, voluntarily pulled it from the market in 2004, but not before it was prescribed to over 20 million people. In fact, Vioxx was one of the most widely prescribed drugs in 2003. Original clinical trials did not show an increased risk of heart attack or stroke. It was only later studies that indicated a serious problem, as the FDA explains. A later study run by Merck was designed to look at the effects of Vioxx on stomach ulcers and bleeding. The study was good news for those with stomach ulcers--but showed a larger number of heart attacks in patients taking Vioxx than in controls. Combining data from that trial with other, earlier studies, analysts in Switzerland found, later, that the data indicated the danger of Vioxx by late 2000. But neither Merck nor the FDA made a move to recall at that time. Rather, in 2002, the information learned from this study was added to Vioxx's labeling. Merck then began longer-term trials to figure out what the risks were for heart attack and stroke with use of Vioxx. They also ran a new trial to determine if Vioxx was effective in preventing the recurrence of colon polyps. However, the trial could not even be completed due to the increase in heart attacks and strokes among those taking the medication, and the end was near for Vioxx's life on the market. The Wall Street Journal, citing a study by the government, asserted that Vioxx might possibly have led to over 27,000 heart attacks and cardiac deaths during its time on the market. On September 30, 2004, Merck announced a worldwide withdrawal of the drug. The Swiss researchers, who published their analysis in the December 4 issue of Lancet, claimed the FDA's slow action "has raised major concerns about the undue control of industry over postmarketing safety data." As a response, the FDA commissioned an audit and announced it would take steps to improve drug-safety monitoring. Developed by Pfizer in the late 90s, Bextra was, like Vioxx, a non-steroidal anti-inflammatory drug (NSAID) for the treatment of arthritis, although again without causing undue stress on the stomach. Clinical trials looked good, and Bextra was approved by the FDA on November 16, 2001, quickly becoming a top selling drug, earning Pfizer tens of billions of dollars. Patients, doctors--and, above all, Pfizer--were happy. Until, Pfizer's post-marketing studies found its subjects taking Bextra were twice as likely to suffer a heart attack, blood clot or stroke than the controls. To make matters worse, its use was correlated with the dreaded Stevens Johnson syndrome, a deadly skin condition. What makes Bextra unusual among recalls is not the number of lawsuits it engendered, or its relatively short time on the market. Rather it is the fact that it yielded one of the largest criminal fines for a U.S. company, as the Pfizer division that made it was fined $1.95 billion after admitting to acting with ‘intent to defraud or mislead’ when promoting its drug. The FDA ordered the Bextra recall on April 7, 2005, and Pfizer immediately complied. Let's return to another diet drug, withdrawn just two years ago. Manufactured by Abbott Laboratories, Meridia was approved by the FDA in November 1997 for, as the FDA wrote, "weight loss and maintenance of weight loss in obese people, as well as in certain overweight people with other risks for heart disease." At the time of approval, the FDA was aware of increases in blood pressure and heart rate in patients treated with Meridia, but the benefits were deemed to outweigh the risks, given that obesity is associated with illness and death on tis own. But as a post-marketing requirement for the European approval of the drug, due to concerns regarding blood pressure and heart rate, the drug maker was required to continue conducting research, specifically a cardiovascular outcome study, which ran from 2003-2009. In that study came Meridia's downfall. The study was published by the New England Journal of Medicine, in mid-2010. In it, participants who took Meridia suffered 28% more heart attacks and 36% more strokes than those taking placebo. Then came a failure of minds to meet. The authors of the study, all employed by Abbott, concluded that patients with heart problems should not take Meridia. However, the editors of New England Journal of Medicine wrote an in an editorial that the results indicated that Meridia should be recalled. Notably, upon seeing the preliminary results of the trial in January, the European Medicines Agency recalled Meridia from European markets. 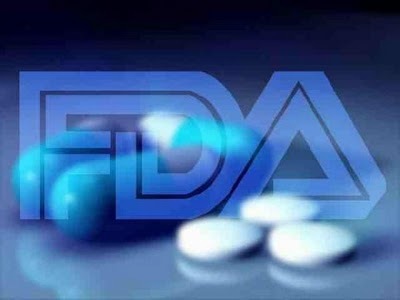 Slow to move, the FDA, members split on whether to ask for a recall or only update labeling, only asked Abbott to include a warning on the label of the drug, even though the FDA had linked 17 deaths to Meridia up to that point. But a month's more thought on the issue brought about a change at the regulatory body. By October, 2010, with the FDA having gone over the study’s results again, the handwriting was on the wall, and the FDA requested a recall. Wrote the FDA, "On October 8, 2010, the U.S. Food and Drug Administration (FDA) asked Abbott Laboratories to voluntarily withdraw from the U.S. market, its weight loss drug Meridia (sibutramine) because of clinical trial data indicating an increased risk of cardiovascular adverse events, including heart attack and stroke, in the studied population." "Meridia's continued availability is not justified when you compare the very modest weight loss that people achieve on this drug to their risk of heart attack or stroke," said Dr. John Jenkins, director of the FDA's Office of New Drugs in the agency's Center for Drug Evaluation and Research. "Physicians are advised to stop prescribing Meridia to their patients, and patients should stop taking this medication." To close let's address what happens when the FDA decides a drug is no longer safe or effective for a given illness, but wants to leave it on the market for other diseases. In that case, instead of a recall, approval is revoked. That is just what happened with Avastin and breast cancer. Avastin by 2011 was the top-selling cancer drug in the world, with sales in 2010 of around $7.1 billion. But when the new study results came in 2009, wrote the FDA "the studies did not confirm that the increase in progression-free survival was as substantial as the original study had suggested," and the FDA determined that the research "did not verify clinical benefit." Turns out Avastin patients didn't live longer, and had to deal with serious risks, including heart attack or heart failure, high blood pressure, hemorrhage, and even tears in the stomach and intestines. Diana Zuckerman of the National Research Center for Women and Families in Washington said, "The science is clear: Breast cancer patients are more likely to be harmed than helped by Avastin." So, concluded the FDA in its 2010 press release, "On the basis of all available data relating to the use of Avastin to treat metastatic breast cancer, the agency has determined that the risks of the drug outweigh the benefits for this use." Although not technically recalled, the FDA's approval to use Avastin for metastatic breast cancer was officially revoked. Avastin still is approved for use in colon, lung, kidney and brain cancers. Because the FDA can always change its mind on an approved drug, it pays to report any adverse side effects you experience to the FDA’s MedWatch, The Safety Information and Adverse Event Reporting Program. It is only through post-marketing experiences that some of the true dangers inherent in medications have been revealed—and removed. A) A chart synthesized by Consumer Justice Group, which specializes in representing people injured by medications, lists FDA recalls on drugs from 1980-2007. My bloodpressure meds: Co-Tareq has been taken of the market immediate effect, in SA. because of the ingredient valsartin. I have been using it for 10 years. Has it been bad all aling or only recently?